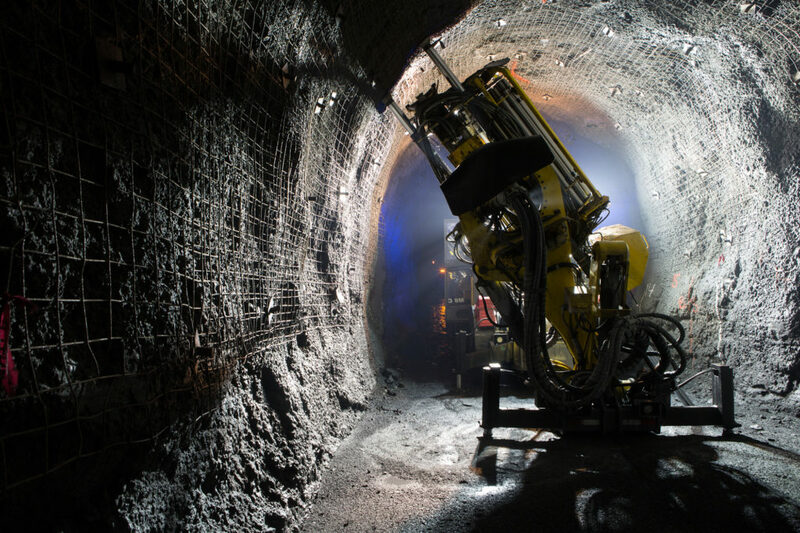 In sublevel caving operations, it is imperative that the production blastholes be drilled accurately so that there is no risk of unblasted ore remaining between adjacent drawpoints. Post-drilling assessment is the process of mitigating this risk by verifying that blastholes have been drilled accurately with the correct length and orientation, following the blast design. Although the process can be time consuming, post-drilling assessment is an important process that is worth the time and the costs involved and blasting. Engineers should frequently assess how the blastholes have been drilled (length, orientation, and the spatial relationship between adjacent blastholes) and compare this information to the blast plan. In particular, special attention should be given to any blastholes that extend towards, and overlap with, blastholes from adjacent drawpoints. Post-drilling assessment provides important feedback on blasthole drilling deviation; it allows a blasting engineer to make any required adjustments before the explosives charging process begins. Blastholes that have deviated excessively will have a considerably different burden than was planned and therefore the explosives loading -- and in some instances the delay timing -- will have to be adjusted. Without corrective action, blasthole deviation can result in unblasted ore and/or poorly blasted ore remaining between adjacent drawpoints. Additionally, blastholes that have been inaccurately drilled may have excessive burdens that can lead to poor fragmentation, create excessive vibration, and in extreme cases lead to blasthole rifling. Blastholes that have been drilled with insufficient burden can generate excessive overbreak in the brow and pillars, cause blasthole cut-offs, and desensitise the explosives in adjacent blastholes. Further, post-drilling assessments can help drillers determine what may need to be done to reduce drilling error. For these reasons, post-drilling assessment was used with great success at the Cassiar Asbestos Mine, a sublevel block caving operation in northern British Columbia that operated until 1992. Approximately 50% of the blastholes in each ring were surveyed as part of the post-drilling assessment. Corrective action was taken prior to charging the ring blastholes to ensure the success of the blasting process. Corrective actions sometimes included redrilling the blastholes, using stronger explosives as a toe load, and adjusting blasthole delay timing.